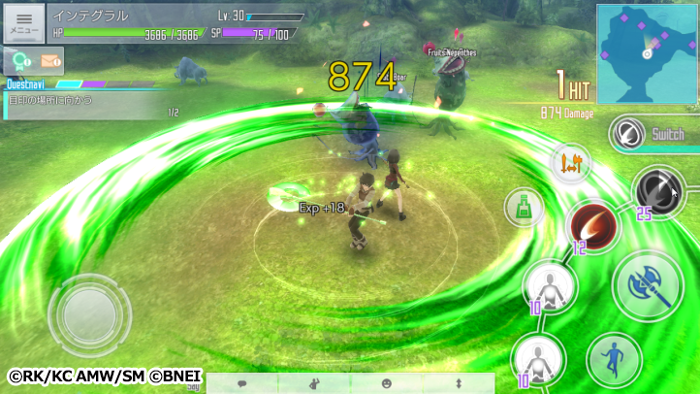 We sat down with SAO: IF's producer to find out what it's like to build an authentic MMORPG experience for mobile platforms. 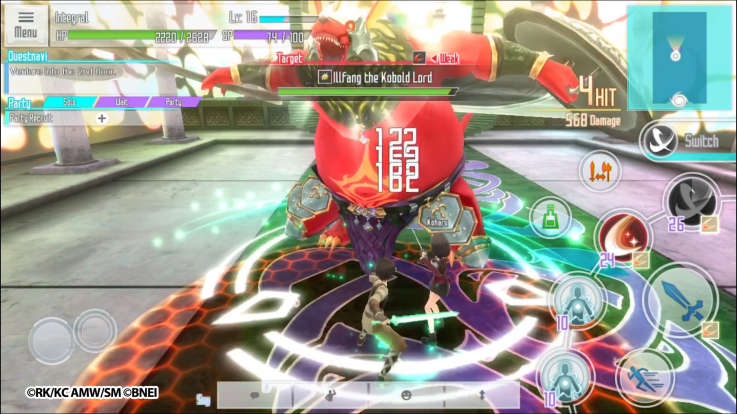 Since the Sword Art Online anime launched it has spawned a number of games inspired by its universe. It’s a natural fit since the series revolves around futuristic VR MMORPGs. However, none of the games in the Sword Art franchise have been an actual, honest to goodness MMO. Sword Art Online: Integral Factor is about to change all that and will be the first game in the series not only to be a fully functioning MMORPG but will also allow mobile gamers to play as their own custom characters. 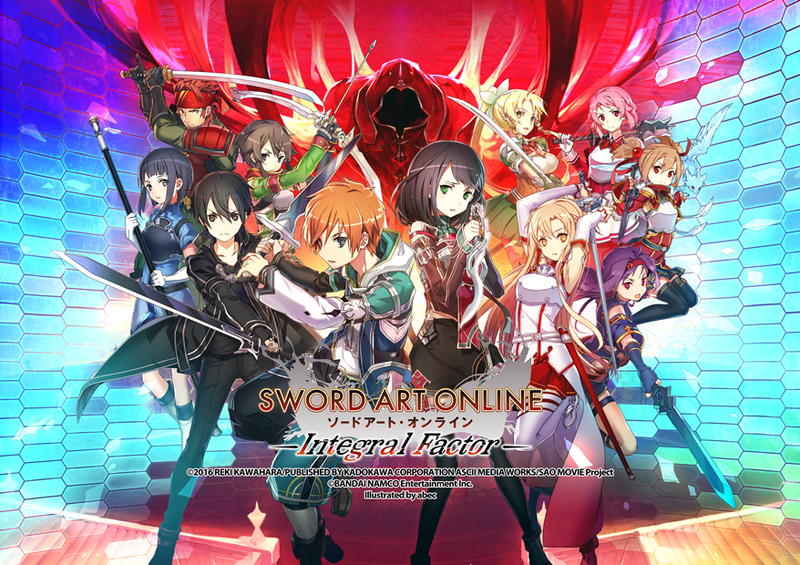 Sword Art Online: Integral Factor will put players in the world of Aincrad and allow them to not only interact with popular characters from the series but also affect key plot points from it and change the course of the original story. During a recent Bandai Namco mobile event held during this year’s GDC, I had the opportunity to sit down with the game’s producer Tomohiko Takeuchi to talk about some of the game’s features and the challenges behind developing an intricate MMORPG on mobile platforms. Please note that all questions were asked and replied to through a Japanese translator. Shacknews: Can you give me a basic overview of the game? Tomohiko Takeuchi: Sword Art Online Integral Factor is the latest mobile game in the franchise. It's basically an online RPG game which is the same as the anime franchise and the original story. It's a really nice experience for those who are anime fans because they can actually get inside the game. And it's called Integral Factor because we have some I.F. stories and they're where you will be able to change the game. So you see here you would be your own hero. He's not like Kirito, he's like yourself. So you can be the hero of the game, and you can actually change some stories that happen in the anime. Shacknews: Is this the first time? 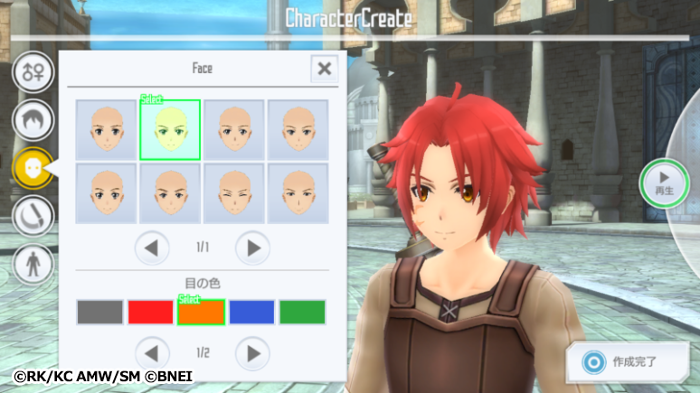 Because I can't recall a Sword Art game that's let you make your own character before. Takeuchi: Well, we have done games for console, but it's actually the first time for mobile. Shacknews: How did you decide that you wanted to have players create their own unique character this time around? I'm sure it follows the story from the show, but how did you decide you wanted to veer off and allow that individuality this time? Takeuchi: Well the first reason, we have a lot of games with Kirito as the hero, which is like the guy from the anime series. We have a lot of those, so we decided to do something new. The second was, we Japanese, we actually like to think a lot, "Oh, What if I were the hero? What would I have done?" People like to think about those kinds of things. So we decided to give people these kinds of experiences, like if you were the hero, what would you have done? Give them other more choices than having the original characters as the player hero. Shacknews: Is there any point in which some of the characters from the show will join up with you? Takeuchi: Yeah, there actually are. Let's show a little gameplay. So here we are with the original characters that we just made. And here's the NPC but he's also an original character here and we have to fight together and conquer the whole game. Shacknews: Will you run into other people playing the game as you play? Takeuchi: Yeah. We don't have enough people here yet, but after the game launches, everyone will be in the same world and you can actually go through guilds and party and battle the monsters off together. 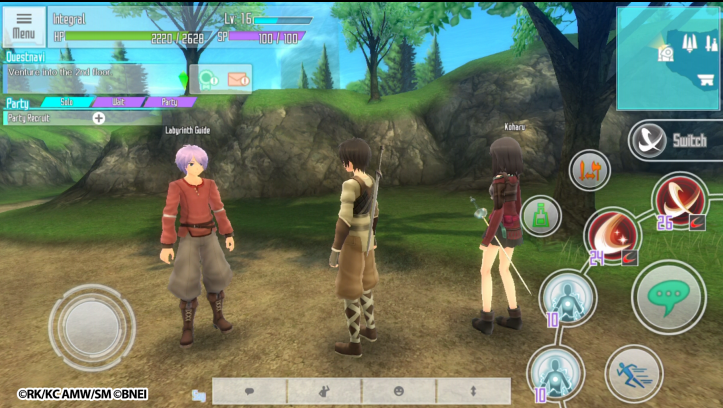 Basically you are just like investigating by yourself and with the NPC together, but you can battle with Kirito now. Shacknews: Do you give commands to your AI partners? Do you ever switch over and control them or do they mostly function on their own? Takeuchi: Basically you can't control how they move. They actually attack automatically. But you have to think about what kind of weapons and what kind of skills you have to give your NPC to make them stronger. And you can even decide what kind of clothes that you want them to wear. Shacknews: Doing an MMO on a mobile platform can't be an easy task. What were some of the unique challenges that the team faced when creating the game? Takeuchi: Very, very hard work. Of course the specs are lower than a computer, so it was hard for us to decide which kinds of experiences we wanted to show the players. We actually spent a lot of time deciding which kinds of things we should keep and which things we could throw away. We had a lot of optimizations, and then finally we have this game here which is the best of what we want to show our players. For an MMORPG it's kind of hard for people like a beginner immediately, and a lot of our players they actually came in from the anime, so we decided to balance how we should have this game perform for anime fans. Should we give them like a really hard MMO experience or should we give them something easier? The balance was kind of hard to decide. Shacknews: What about play time? I know people tend to not play games as long on tablets and phones as they would on a console. So how do you balance being able to explore the world but also being able to kind of store the game and come back to it later? Takeuchi: As you mentioned, not a lot of people play on their mobile devices for a long time. So we have easier quests that you can clear in your free time. But also we have some quests like bosses where you have to fight them for 20 or 30 minutes, or maybe have a party and everybody has to go for the battle in order to win. We still have a kind of MMORPG style there, but we also have it optimized for mobile devices. So we have two different kinds of events there. Shacknews: So there are raids? Takeuchi: We're still planning on that, yeah. Shacknews: Where in the story does this take place? Does it start in the beginning and follow through to where the anime is now? Or does it just select a certain era or season? Takeuchi: Basically this is based on the first season which is the story arc Aincrad one. Aincrad is a floating castle which has like 100 floors. You have to do one floor, one floor, one floor, and get to the end of the Aincrad. So our scenarios are based on that story, so now we're trying to work on a floor and another floor. Keep on going for 100 floors. Shacknews: Can you just decide to be like some of the people in the anime and just hang out in one area and try to make it your home? Takeuchi: That’s a really nice idea. The developers are having the same thoughts, so they are actually trying to work on it, but they are still trying to tune the game, so they are drawing some draft pictures and saying that "oh maybe it will be nice if we can have those home building systems here." So yeah, we're trying. We're working on it. Shacknews: How does the leveling system work in terms of increasing your stats and your abilities? Do you select where your skills go each level? Takeuchi: Basically it's not like skills, you don’t choose which points go to which skill. Once you level, it goes to the hit point and the skill point, but you can do sort of levelings for your weapons or your skills. There are skill cards and you can make them stronger. And as you get stronger you can perform more attack skills. It's not only the level that decides how strong you are. You also have to do gear-ups. Shacknews: How far are you looking forward in the game? Is this something that you plan on continually expanding on like World of Warcraft? Takeuchi: It's a really big goal to be like World of Warcraft. But yes, as an online game, we hope to be the best of that – give people the best experiences there. Yeah, so that's the kind of goal we're leaning for. Shacknews: Is it going to be like an 8-hour self-contained story, or because it's a living world with everybody interacting in the same environment, is it going to be open-ended? Takeuchi: For now we are actually trying to make players interact with each other as an open-ended platform. So people can get together and find the most fun way to play this game. It's not in the game right now yet but we're going to have a guild system soon so more players can interact and play the game together. 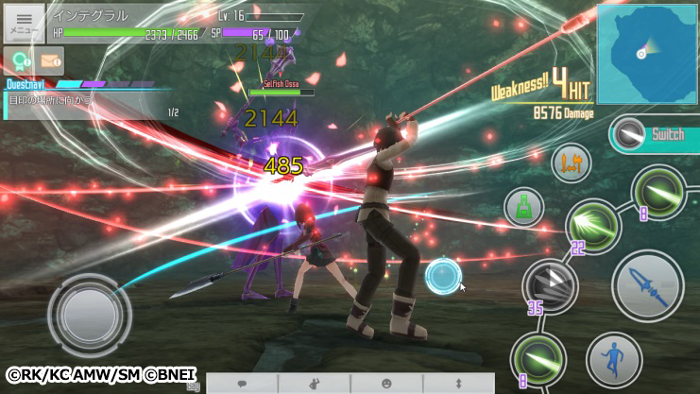 Shacknews: What is the launch date window for Sword Art Online: Integral Factor? Sword Art Online: Integral Factor does not currently have a release date, but will launch on iPhone and Android mobile platforms later this year.